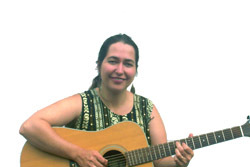 Nikki's songs reflect her deep insight into human beings, our foibles and our great potential. She performs solo, and with various line ups, especially with the original dance band, The Cracks In Everything. Go to thecracksineverything.com to view some of Nikki's lyrics.